It's A Bacon Bonanza Up In Here! 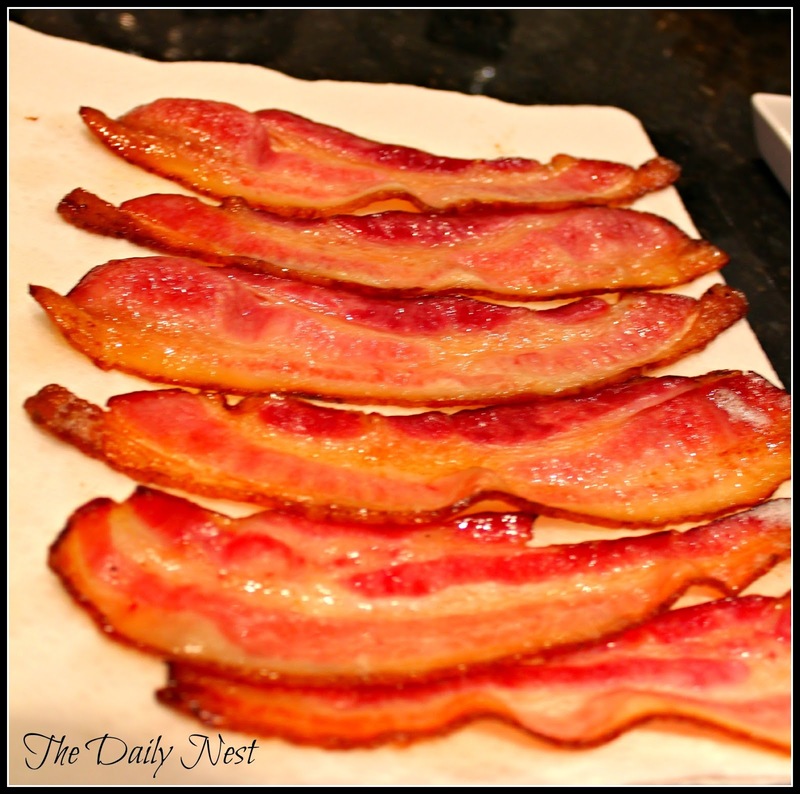 The Daily Nest: It's A Bacon Bonanza Up In Here! It's A Bacon Bonanza Up In Here! I would like to see a show of hands of those of you who don't like bacon! 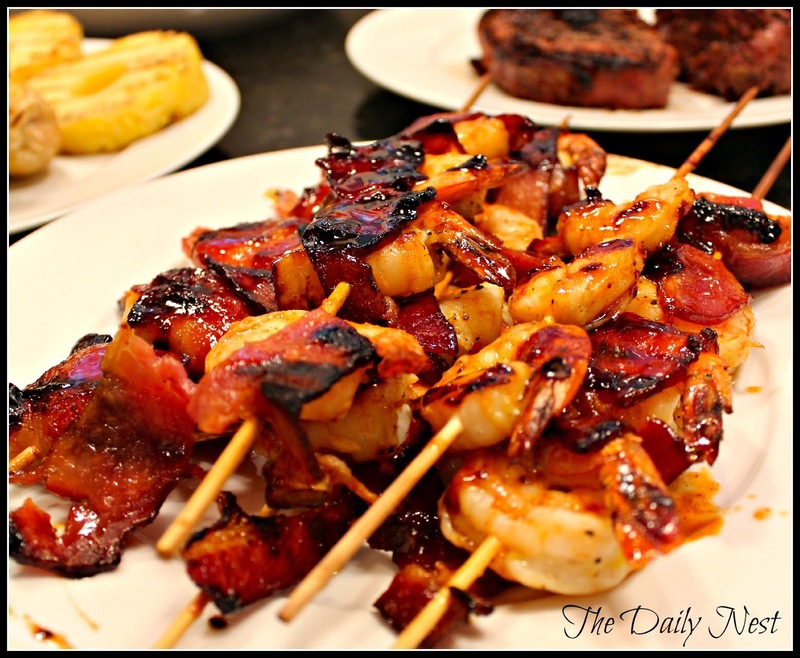 If you're raising your hand, then you might want to look away now because this post is bacon CRAZY!! We love bacon in this house any way any how! We've even had bacon doughnuts! They were super good!! We did some grilling out last weekend and I thought I would share what we fixed. My mouth is watering just thinking about it! And yes the main attraction was BACON!! First up for an appetizer was a Caprese Salad. Made from tomatoes and basil from my garden. 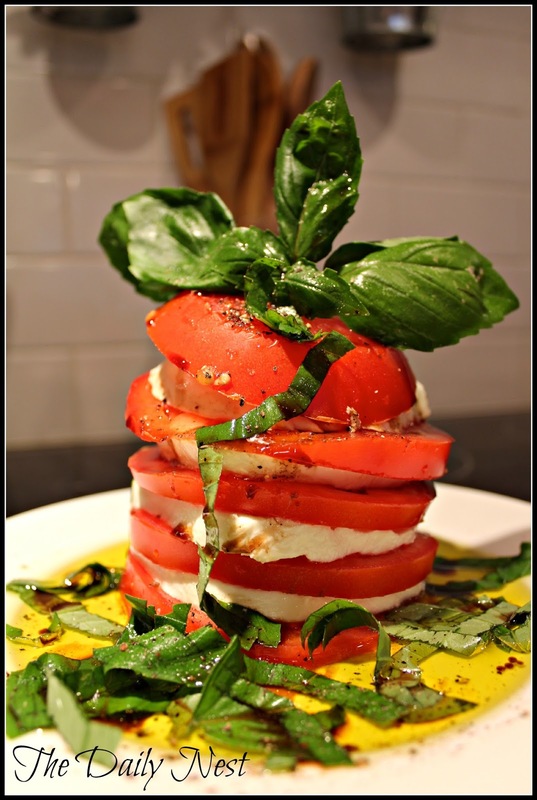 Tomatoes, fresh mozzarella, fresh basil, a drizzle of balsamic vinegar, and of course Extra Virgin Oil. A sprinkle of Pink Sea Salt and fresh ground pepper. Applewood smoked bacon cooked halfway in the oven. These filets were the most tender pieces of meat I've ever eaten. 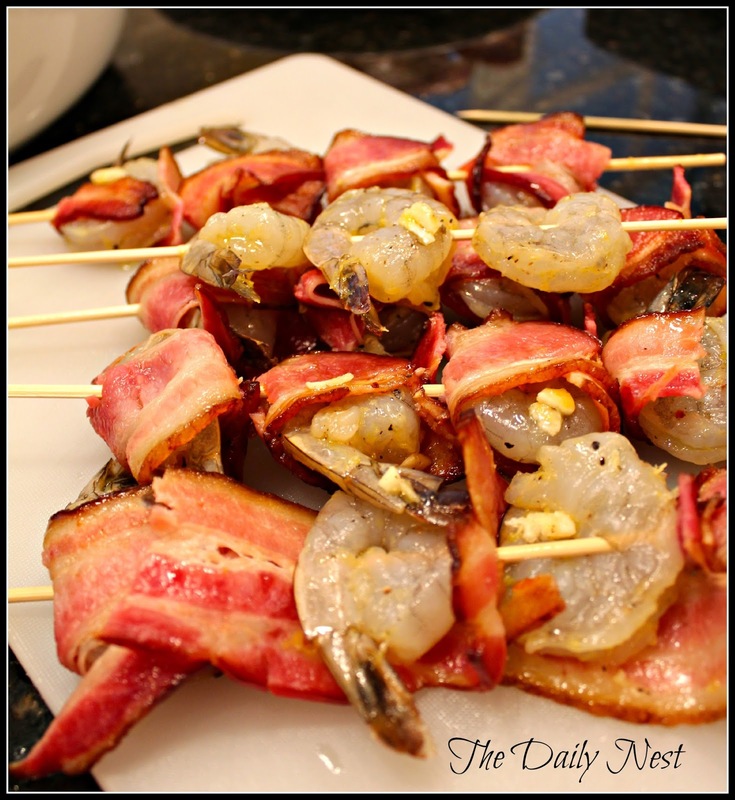 I wrapped them in uncooked bacon and secured them with wooden toothpicks. Brush the tops with EVOO and add a thick coating of McCormick Montreal Steak Seasoning. 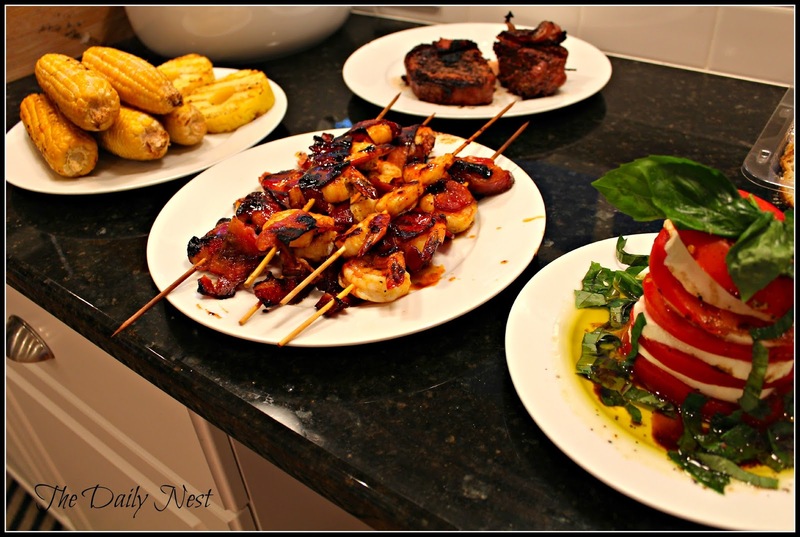 Don't skimp on a thick cut of meat or burger. 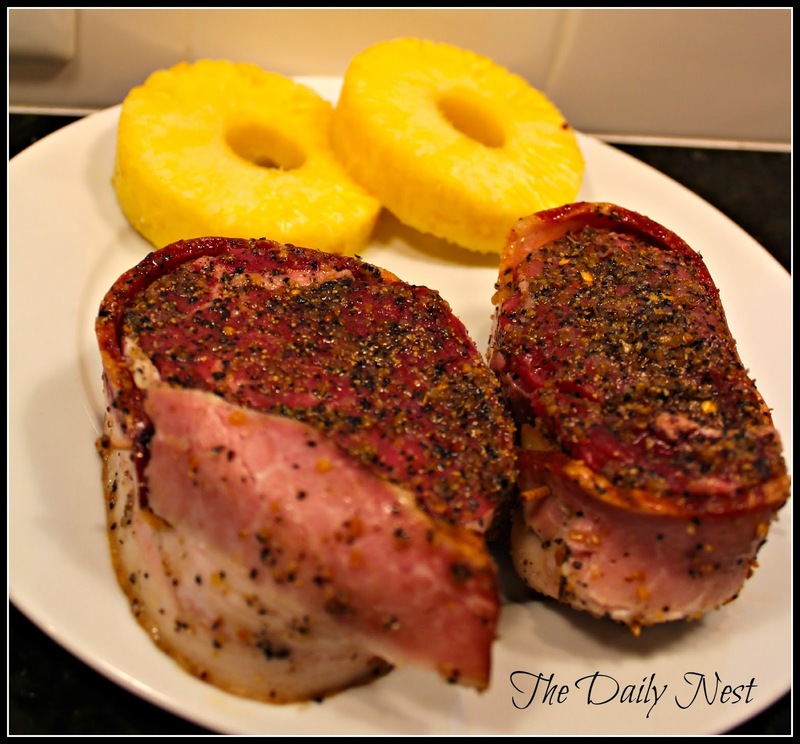 Grill pineapple 3-5 minutes per side. I made a glaze to baste the bacon wrapped shrimp skewers. 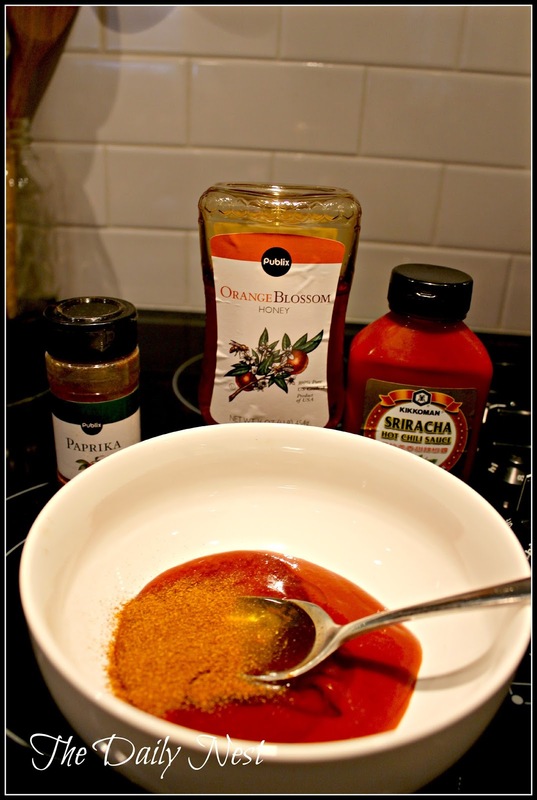 3 Tablespoons of Sriracha sauce, 4 Tablespoons of honey, and 1 tablespoon of paprika. Baste shrimp the last couple minutes of grilling. Make sure you taste before, because the Sriracha sauce is extremely hot. So adjust the honey accordingly. 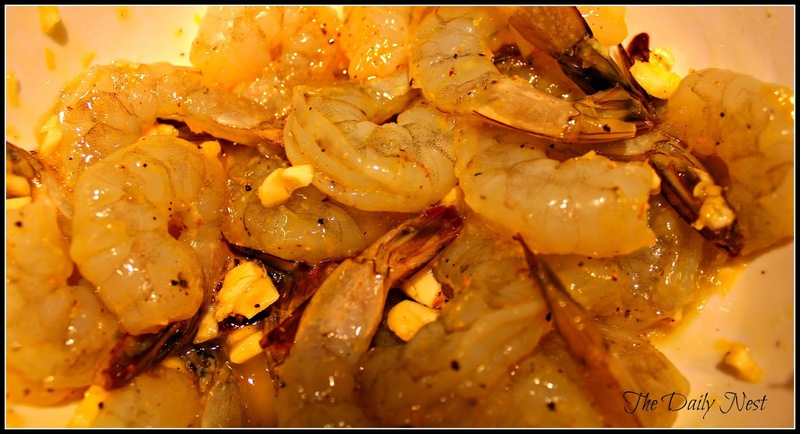 But first I marinated the shrimp for 20 minutes in 1/4 EVOO, 3 cloves of garlic minced and the zest of 1 lemon. Salt and pepper the shrimp. Then cut the bacon in half and wrap each one in bacon. Place 3 shrimp on skewers. 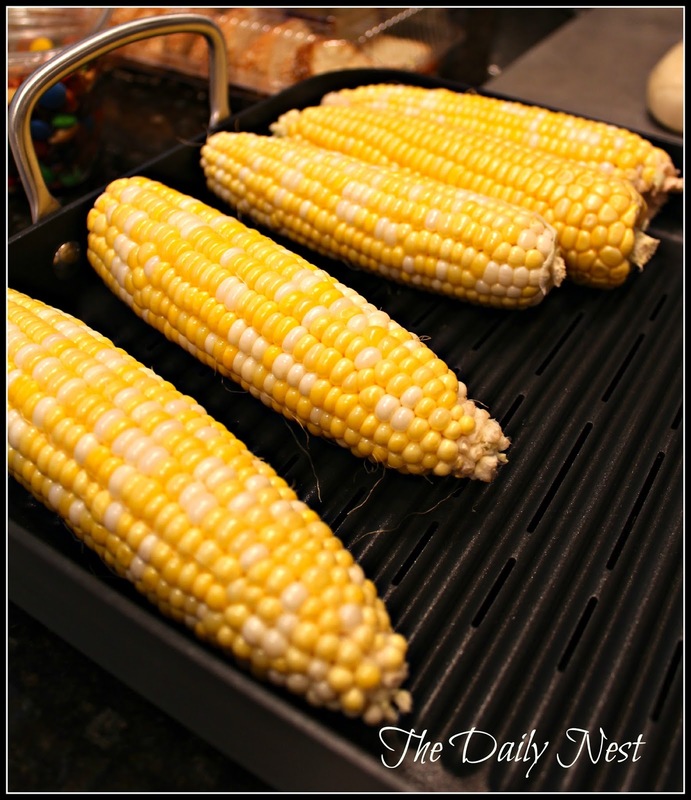 These are fresh off the grill, basted and ready to devour! We grilled everything on my new Technique Nonstick BBQ Grilling Pan. It was the best especially for the shrimp kebobs. 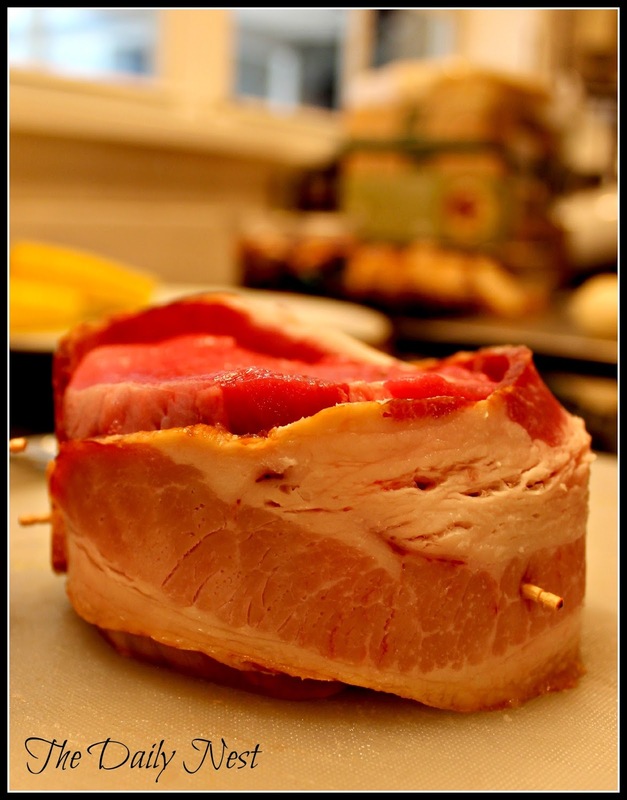 Are you a bacon lover?